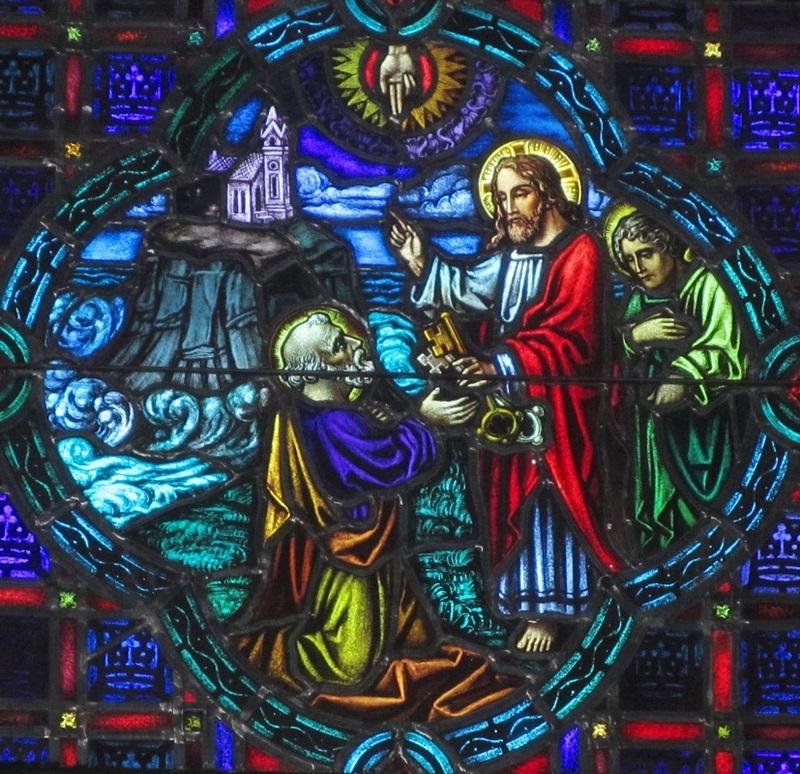 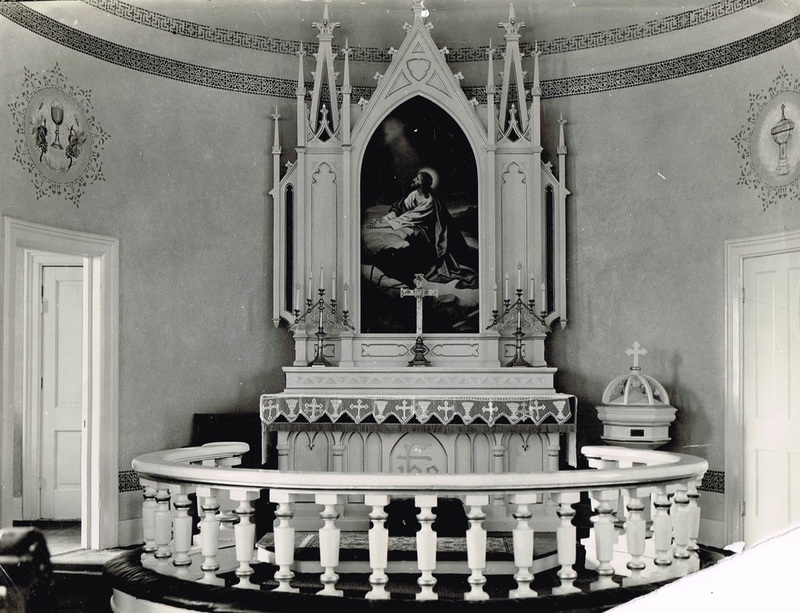 The picture says it is an altar from St. Patrick Church-Imogene. 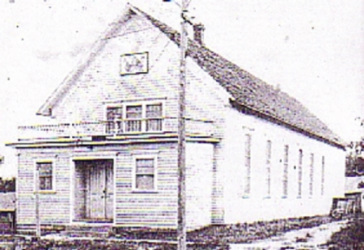 If so, we are not certain in which church it was used. 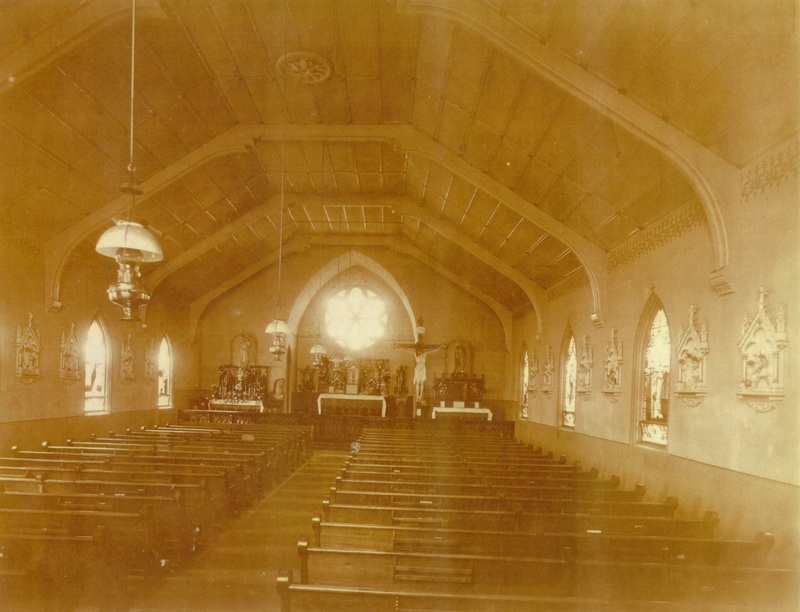 Interior of the 1880 church - Father Ryan by the door on the right side of the picture. 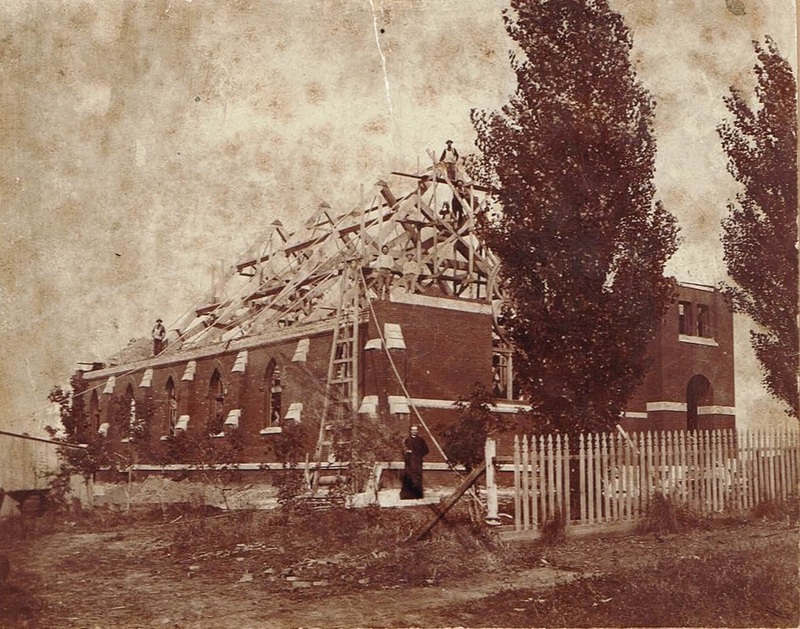 Look closely-you might be surprised by how many workers you can count building the church. 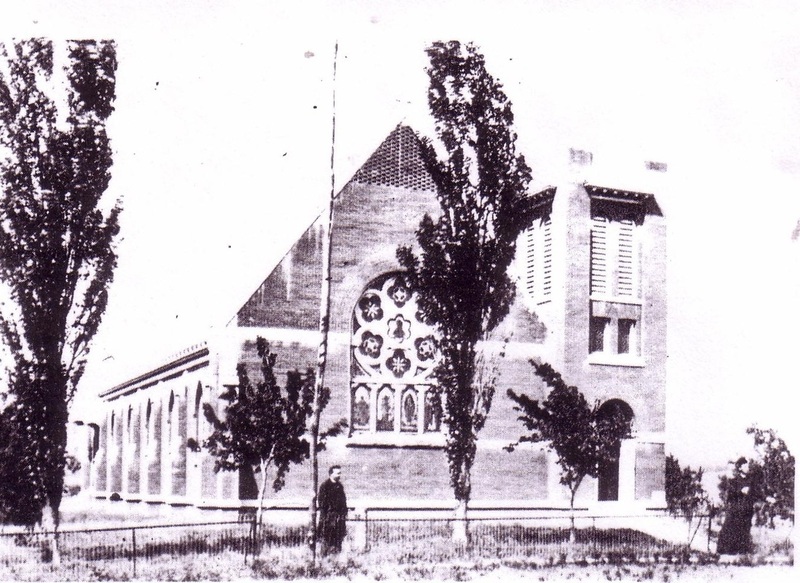 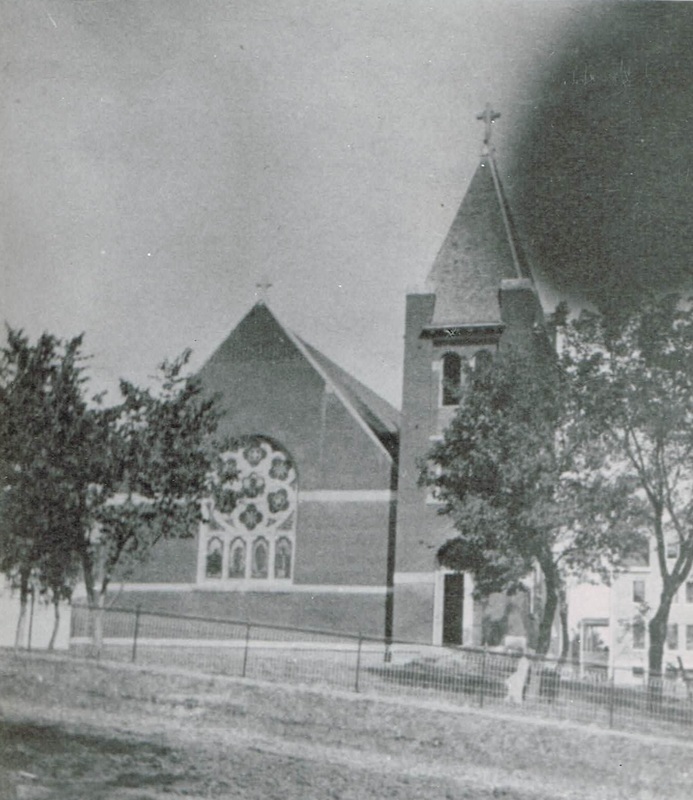 1892 Church & St. Patrick Academy; the church was dedicated in October 1893. 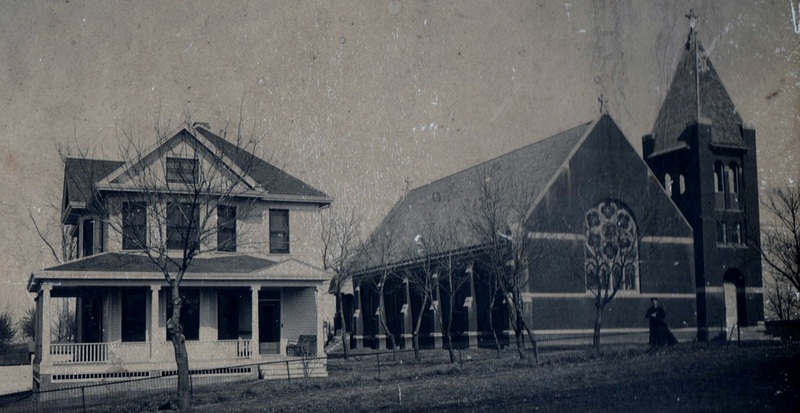 1904 rectory & 1892 church; the first Mass in this church was held on Sunday, September 3, 1893. 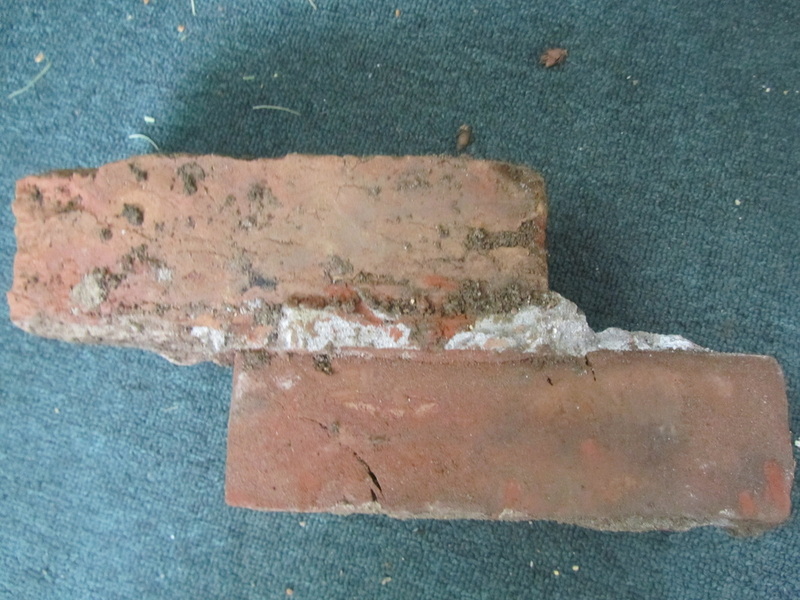 Bricks believed to be from the foundation of the 2nd church - unearthed May 2015. 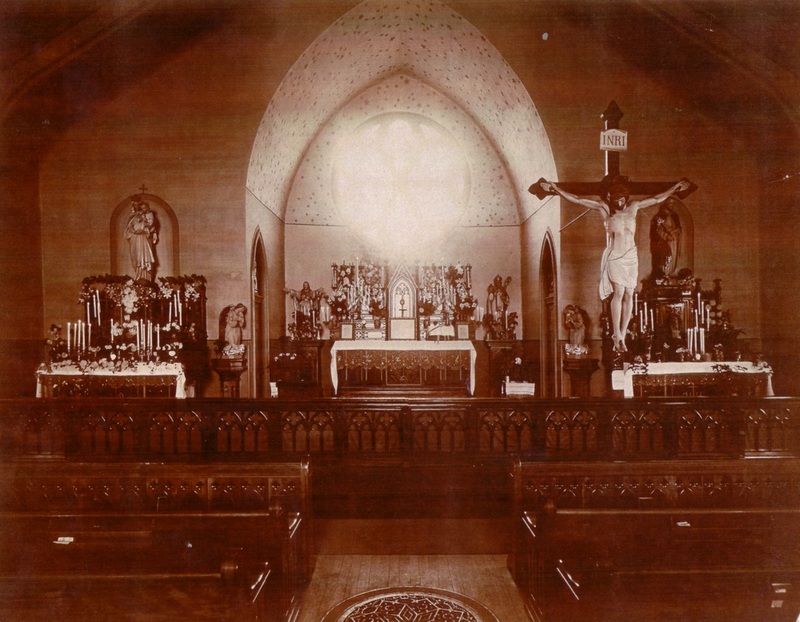 Interior 1892 church-flames were coming out of the furnace grate in the center aisle February 10, 1915. 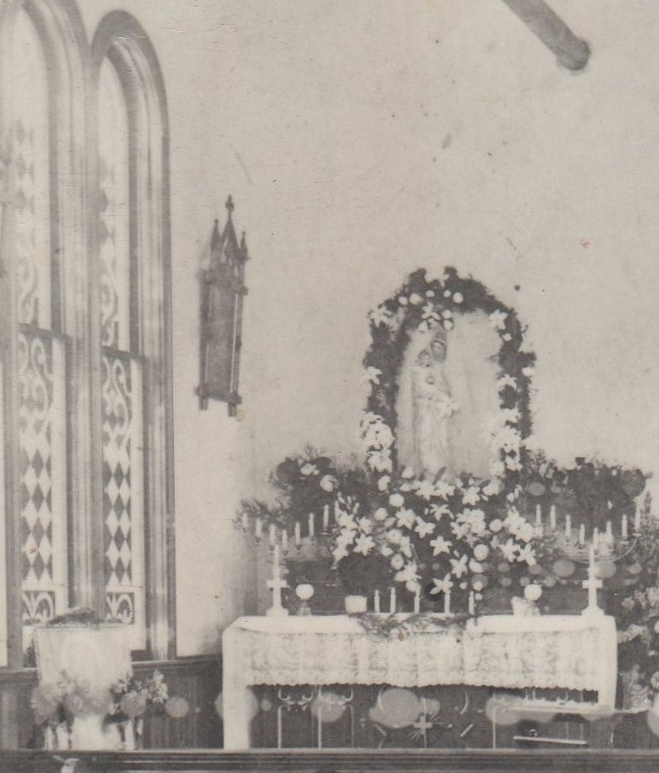 Life-size crucifix was shipped to our church directly from the Chicago World's Fair where it had been on display from May 1-October 30, 1893. 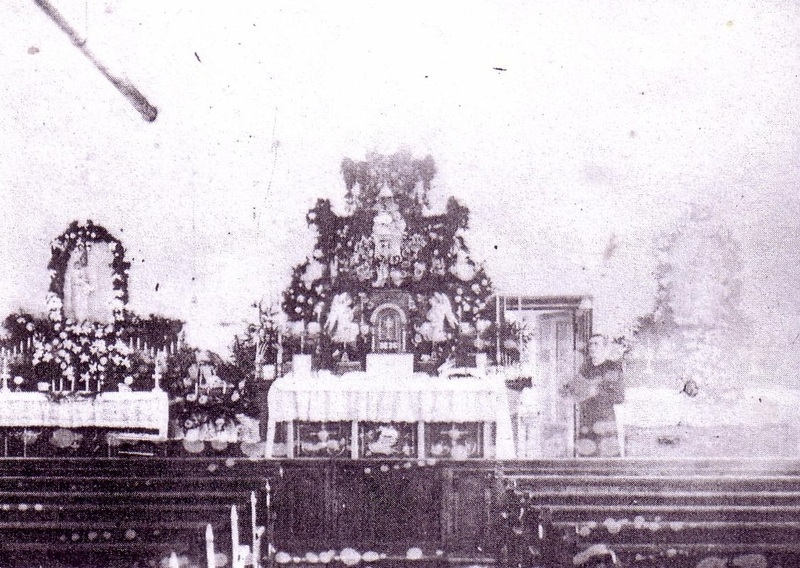 Note all the candles and the large window over the main altar-no electricity in the church. 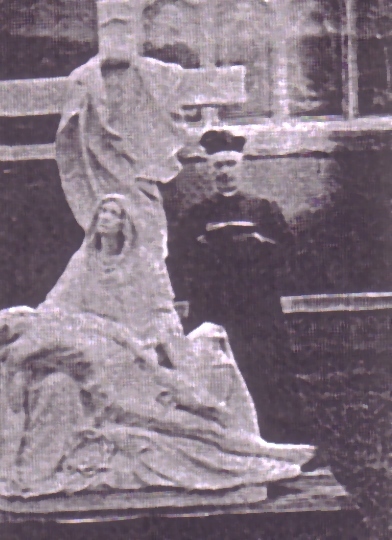 Originally the Pieta statue came to Imogene July 1910 as a tombstone; Father Hayes ended up putting it in front of the 1892 church. 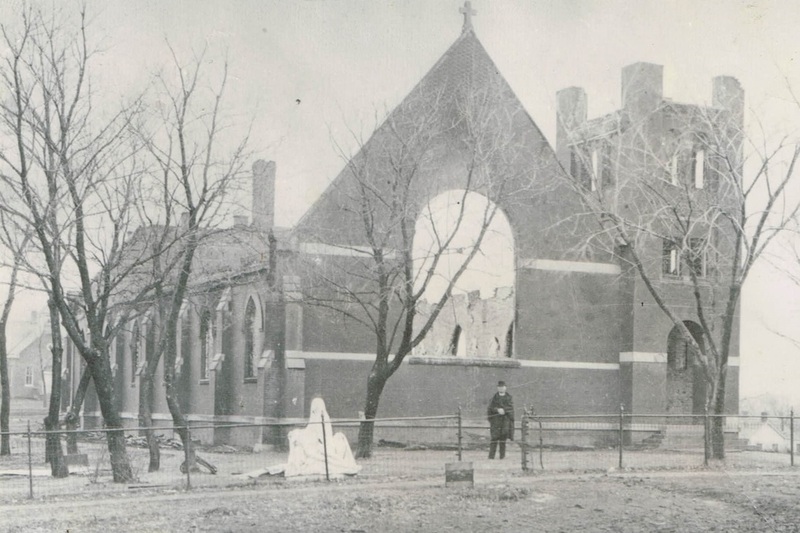 After the fire, church services were held in the Hibernian Hall - one block south of the church grounds-until services could be held in the basement of the new 1915 church.